LEASED - ISLEWORTH - GOLF FRONT! - $1,890,000! THE BEST OPPORTUNITY IN ALL OF ISLEWORTH !! HERE IS YOUR OPPORTUNITY TO LIVE IN A PREMIER GOLF & COUNTRY CLUB COMMUNITY - AT THE LOWEST PRICE - BUT ON A CHOICE GOLF-FRONT LOT! DON'T WAIT! Enjoy the beautiful surroundings of this lovely home, on a private cul-de-sac, surrounded by multi-million dollar estates, and approached from a long private drive where this lovely home has a deep set-back on a 1 Acre lot. 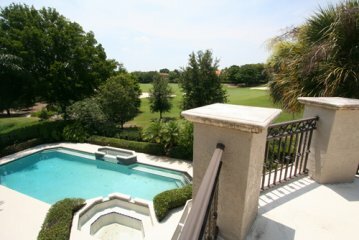 This is truly an incomparable setting in this prestigious golf and country club community. 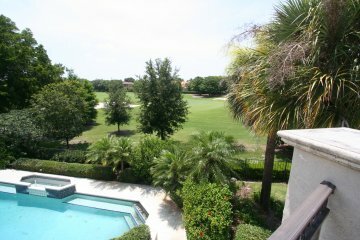 The residence has beautiful views of a lush landscape on the 3rd hole of the famed Isleworth golf course !! The interior features an open floor plan with soaring ceilings and many interior doors opening to a 65' screened porch - with views of the pool and golf course! The first floor features large formal rooms, whose spaces are defined by stately columns, a 21' master bedroom suite with large adjoining bath and two (2) walk-in closets, an 18' study with rich wood floors and large windows, and a guest suite on the opposing side of the floor plan. 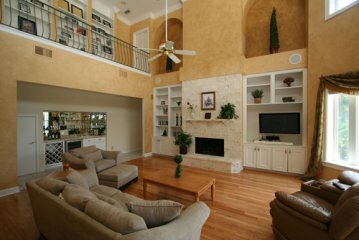 There is also a grand Family Room with tall stone fireplace flanked by display shelving and a refreshment bar. 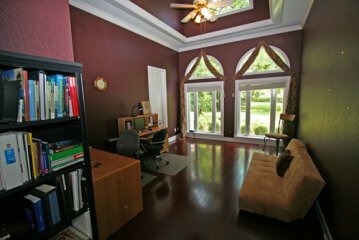 The second floor offers two (2) additional bedroom suites and for all to enjoy - a large game-billiards room, as well as extensive bookshelving for the library area. 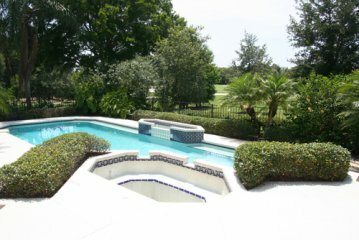 The pool and heated spa are framed by a lush landscape with a view of the golf course. There is a 3-car Garage. 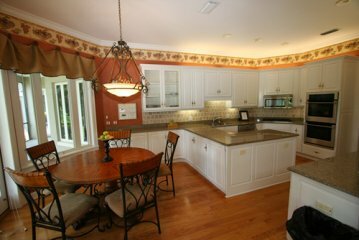 There has been some updating on the interior, such as granite counter tops and newer appliances; however, a little paint and wallpaper will bring this to its full value. This is a wonderful opportunity to purchase on the lower end of the price range in prestigious Isleworth - on one of the most desirable lots. 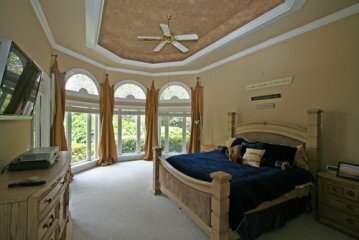 If you are looking for an exceptional opportunity - then you call us for an appointment to see this. 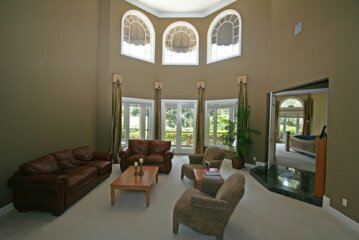 There is no other setting like this and one-acre lots are rare in Isleworth! 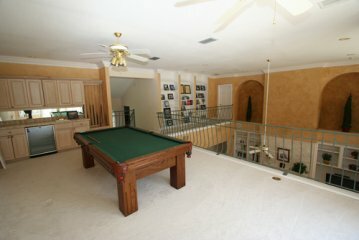 Owner relocating and priced to sell!